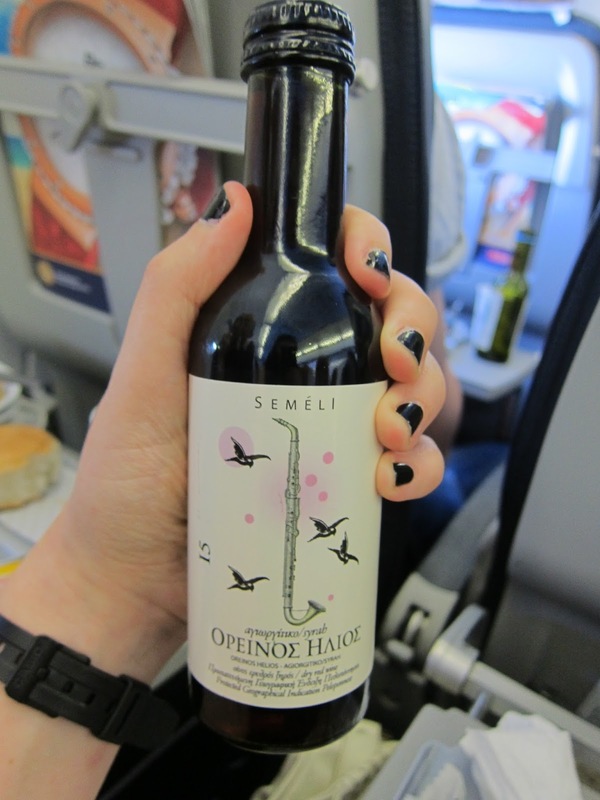 I rode Aegean airlines from Amsterdam to Athens one summer and was surprised by a few new things. 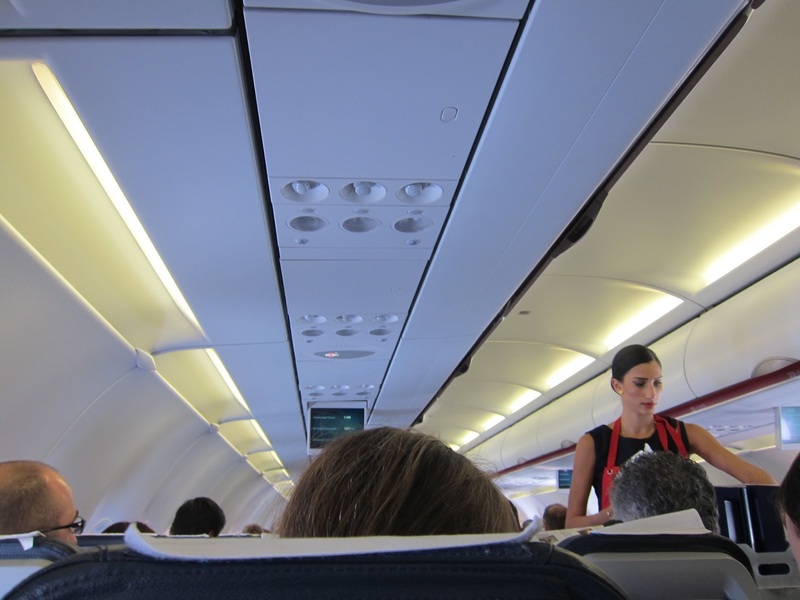 After an initial negative experience in Schipol Airport, in which I discovered that we would need to pay $100 USD to check out three suitcases, I ended up liking Aegean airlines again once I got onboard. First of all: the food. 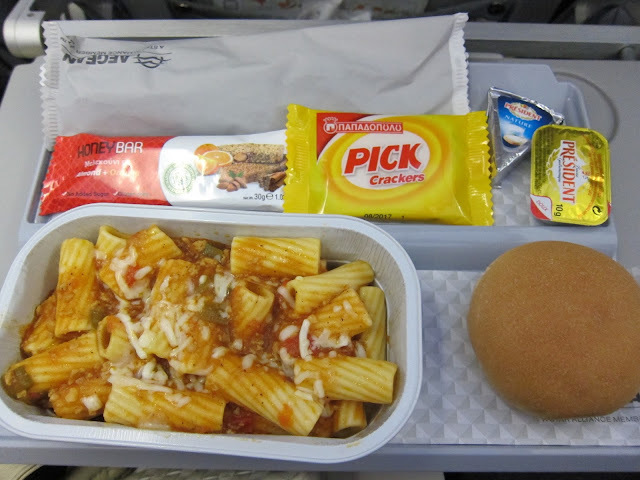 In our brief 4 hour flight, we were fed a meal which was actually partly decent. A cheese and tomato pasta is a perfectly acceptable dish reheated on an aircraft, and I enjoyed the sesame honey bar that came with it. I was also excited that we got a complementary bottle of red wine...which I felt entitled to after paying them $100 for luggage. 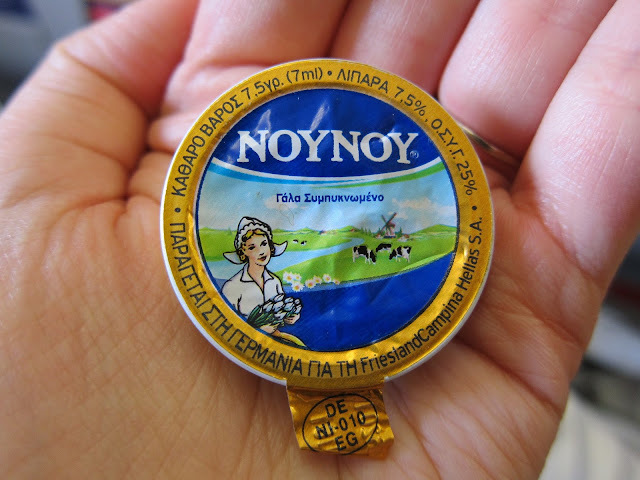 My favorite brand of butter in the world is Noy Noy from Greece and I was overjoyed to see NoyNoy butter on the plane. I know that every airlines outside of the U.S. actually employs attractive women as its stewardesses, but I was surprised by how truly pretty Aegean airlines flight attendants were. They were so pretty they gave me low self esteem because I am not such a pretty Greek women. (However, once I landed on my island and saw all my old grannies, I felt prettier again). It’s been about a decade since my dad went to Greece, and since that time, the airplane seats got smaller and my dad got bigger. 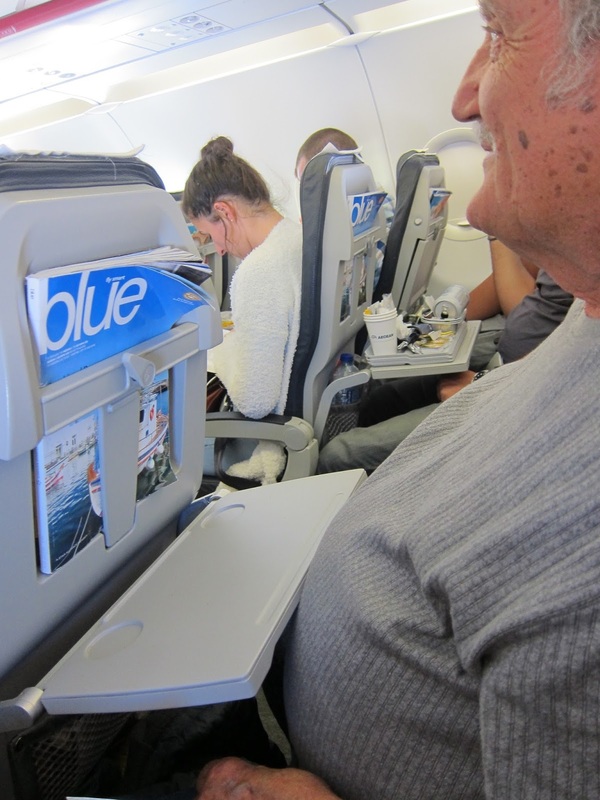 Putting the tray table down was not an option.